This is a die-cut Kodak Developing and Printing porcelain sign. This particular Kodak Developing and Printing sign is predominantly blue with white text. 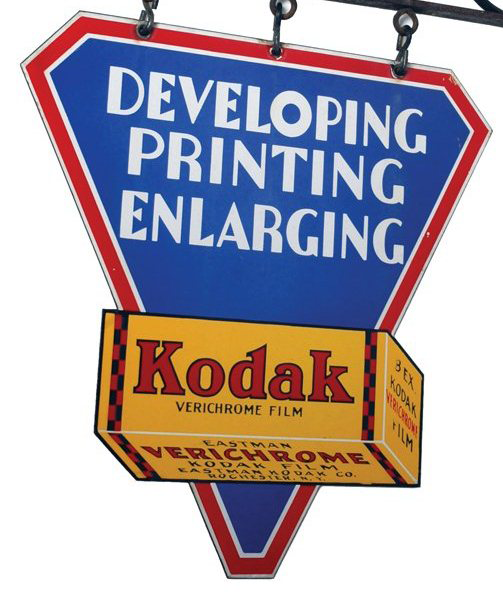 It reads, “Developing, Printing, Enlarging, Kodak Verichrome Film, Eastman Kodak Co.” and features a yellow box of Kodak film against a red, white, and blue triangle.